Of the many native red grape wines recently revived in Italy, Sagrantino di Montefalco - Umbria's flagship wine - is one of the most distinctive. With its impressive complexity and longevity, it has the qualities to become the region's most famous wine, despite the fact that this low-yielding Sagrantino grape makes up a mere 6% of Umbria's total wine production. The vinous reputation of central Italy rests on long-established commercial wines such as Chianti, Brunello di Montalcino or Vino Nobile de Montepulciano, based on the "omnipresent" Sangiovese grape and its clones, but Sagrantino of Montefalco can hold its own in any confrontation. Sagrantino of Montefalco has one of the lowest maximum yields at 48 hl/ha, and must be aged for 30 months pre-release, of which 12 months must be in wood - increasingly French barriques. 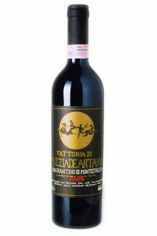 It is a garnet-red with muscular tannins and full body, a subtle scent of violet petals, an aroma and bouquet reminiscent of blackberries. 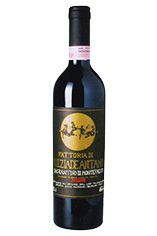 Montefalco Rosso is an earlier drinking blend of Sangiovese (60-70%), Sagrantino (10-15%), Cabernet Sauvignon, Merlot (15-30%).